Christmas is coming and most of us are planning which sewing projects should be included in our list. 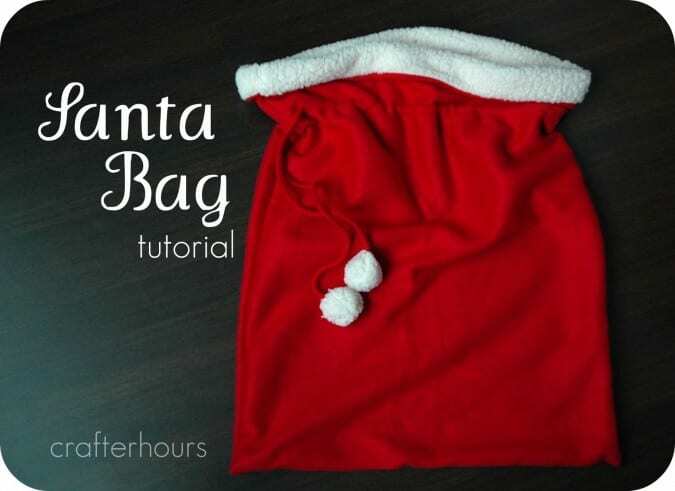 If your kids love to role play as Santa, then this Santa bag would be a great addition to their costumes. One yard of red fleece is more than enough, and whatever the smallest cut your shop will allow of the fuzzy fleece will work– really all you need is one 3″ cut from the bolt! Take a look at this Santa Tote Bag, too!